Creating club-thumping beats that entice feet to dance and hips to move without falling into a category as the next Katy Perry or Lady Gaga is no easy task. But Britain’s Little Boots does it without difficulty. Hailing from Blackpool, England, the singer-songwriter takes raw talent, soaks it in electropop with a bit of indie swagger and creates a collection of tracks that can be found on her debut Hands. Touching subjects such as love and heartbreak, Little Boots crafts numbers so astoundingly catchy that they feature lyrics and melodies that seem extremely familiar (“New In Town”). Her looks may not be as glamourous as other similar artists, but the singer’s sultry and vintage voice is captivating enough to win over innocent music bystanders. 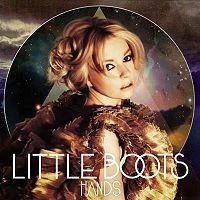 Little Boots may not be internationally known, but Hands is a portrait of her potential and a statement that testifies not all pop singers need to pen lyrics about disco sticks and kissing girls to be considered talented. 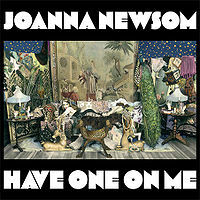 There’s no doubt California’s Joanna Newsom should be commended for this triple album, whose eighteen tracks come in at a solid two hours; few artists challenge their listeners with so much material on a single release, and it certainly provides a lot to wrap one’s head around. Arrangements focus on Newsom’s voice, piano and harp, and are accented by trumpets, violins and sparing drums. While it might be a difficult task transporting a harp from show to show, I’d be more concerned about lugging around Newsom’s lyrics notebook. The folksy songstress vocalizes continuously through songs that are generally six minutes or longer, often without so much as an instrumental break or chorus. These facts make a single continuous attentive listen to Have One on Me a Herculean achievement. Broken into three chunks it is a much more manageable feat, and one that’s worth repeating, in good time. Never believe the hype. When an artist no one has ever heard of is praised with open arms and spectacular high fives, it’s hard to hear their music for the first time with an open mind. One listen to Fang Island’s self-titled release will destroy everything you’ve known about music for a quick period of time because of it’s abstract construction and sound. A second listen will open your eyes and make you realize why music admirers are constantly spinning the Brooklyn quintet’s record. Injected with creativity, the 30 minutes of music goes from instrumental chaos to melodies that belong in redesigned Nintendo video game classics. 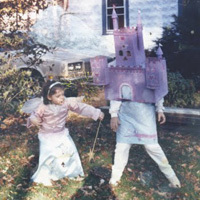 The sound can evidently be compared to noise-makers like Animal Collective, but Fang Island’s music doesn’t seem forced as it appears as if they can pull off melodic breakdowns and jubilant guitar riffs with ease. But is such talent enough to say the group’s record is one of the best so far to be introduced in 2010? In this case, believe the hype. 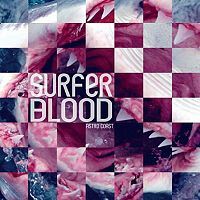 Surfer Blood’s sound is an eclectic mix of styles from a number of contemporary acts who got to the party before they did. “Floating Vibes” and “Anchorage” have crunchy distorted riffs and dreamy vocals similar to Silversun Pickups. Later, on “Swim” and “Take It Easy” they get a little more experimental in terms of arrangements and vocal filtering and capture some of the trademarks of Vampire Weekend. Still later, on “Twin Peaks,” they dial back the science, and arrive at something Weezer fans can identify with. Astro Coast is a strong debut from the Florida quartet; amidst all of the similarities to other groups, they somehow bring psychedelic surf-rock into the 21st Century in a re-invented and wholly original way. For the Vancouver trio, it’s all about timing. 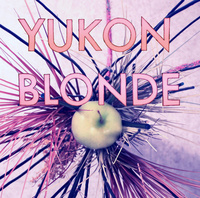 Signing to a Toronto record label will evidently help the group, but it’s their joyous music and charming vocals that will propel Yukon Blonde to another level. Their self-titled debut sounds like the average indie record, but it’s full of vocal harmonies and hooks that seem too familiar. “Rather Be With You” echoes The Beatles in great fashion while various snippets on the album draw pictures of Brian Wilson and The Beach Boys. Maybe it’s the brilliant sensation they create inside a listener with every track. Maybe it’s the fact their natural tones are laced with grooviness. Either way, a live performance is a must-see for those looking for a nostalgic flashback or a taste of upcoming talent that’s been brewing along the nation’s west coast. 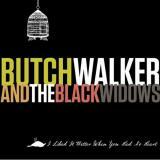 Dripping with Americana rock, Butch Walker’s fifth studio album with The Black Widows is a testament to why songs are built around several different factors. A producer who’s worked with various artists such as Weezer and Saosin, Walker presents I Liked It Better When You Had No Heart, an album armed to the teeth with pop-infested lyrics and choruses created to sabotage radio stations. Along with tapping into bold statements about girls (“She Likes Hair Bands”), the Georgia songwriter touches everything his talent can. There’s bubblegum pop anthems like “They Don’t Know What We Know”, handclap blues with “Days Months Years” and even tracks that breathe Bright Eyes folk like “Don’t You Think Someone Should Take You Home”. A bit much as far as genres go? Maybe, but the variety outshines most overplayed collections that hold music countdowns hostage these days. 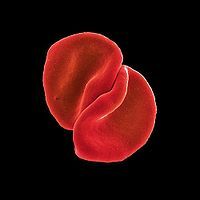 Peter Gabriel is one of the more trusted names in music. There are at least four songs written by the 60-year-old Brit that most music fans, of whatever taste or background, will tell you they either openly like, or consider guilty pleasures: “Solsbury Hill,” “In Your Eyes,” “Sledgehammer,” and “Shock The Monkey.” Well, he used to be a trusted name in music. Making the kind of bold decision musicians of his clout are wont to make, Gabriel has released Scratch My Back, a cover album featuring his interpretations of songs by artists including Neil Young, Radiohead, David Bowie, and Arcade Fire. But here’s the kicker: each cover is a haunting orchestral dirge, with Gabriel’s voice, whispered and cracking, planted firmly above it all. I can respect the sort of Leonard Cohen-esque direction he was heading off towards, but somewhere in the mix of baritone lows and wavering highs of his versions of “My Body is a Cage” and “Street Spirit” he leaves the listener grimacing and wishing they’d saved their money for I’ll Scratch Yours.